The WAC Coach of the Year is one of only 10 Division-I women’s basketball coaches to accomplish the feat. Trakh led Pepperdine to the NCAA Tournament a total of three times before leading Southern California to the tournament in back-to-back years. Before leading the Aggies to their first regular-season championship in 20 years and first-ever conference tournament title, Trakh led Pepperdine to the NCAA’s in 2000, 2002 and 2003. After leaving for USC in 2004, he led the Trojans to the tournament in his first two seasons there, 2005-06, and also advanced to the second round in both years. Trakh also led Pepperdine to WNIT Tournament appearances in 1999, 2001 and 2004, meaning the NM State head coach had a string of eight-consecutive seasons (1999-2006) making a postseason appearance. He hadn’t been back to the postseason, however, until this year’s magical season with the Aggies. Trakh and his NM State WAC champions are off to College Park, Md., to face the top-seeded Maryland Terrapins. All fans are invited to join the team in a well-deserved Aggie Send Off today from 11:20 a.m. to 11:45 a.m. on the south side of the Pan American Center Annex. 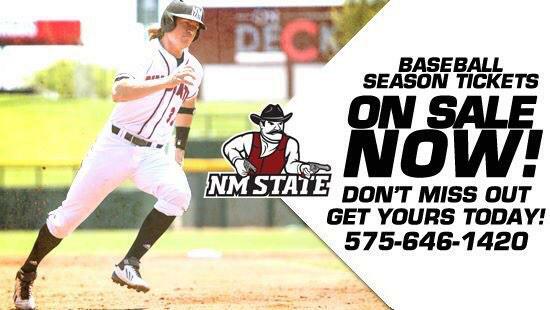 Help cheer on NM State before they start their journey on the Road to the Final Four. NM State meets Maryland on Saturday at 11:30 a.m. (MT) at the XFINITY Center. The game will be televised on ESPN2 and air on local radio on The Ticket AM 570 and 98.7 FM.